Nineteen major paintings lent from the private collection of Thelma and Melvin Lenkin of Chevy Chase, Md.,will be on view at the Smithsonian American Art Museum from April17 through Aug.16. Mary Cassatt’s renowned“Reading ‘Le Figaro’” is joined by major oil paintingsby George Bellows, Martin Johnson Heade, John Singer Sargent, John Sloan,William Glackens, John La Farge, Everett Shinna nd others. These artworks will bei nstalled on the second-floor galleries of the museum within the chronological flow of the museum’s permanent collection to create a narrative around the excitement of the late 19th and early 20th centuries in America, a“coming-of-age” period inAmerican art.Many of theworks will beon public view for the first time. Chief Curator Virginia Mecklenburg and Curator Emeritus William Truettner, longtime distinguished scholars of American Art, selected the artworks borrowed from the Lenkin Collection. 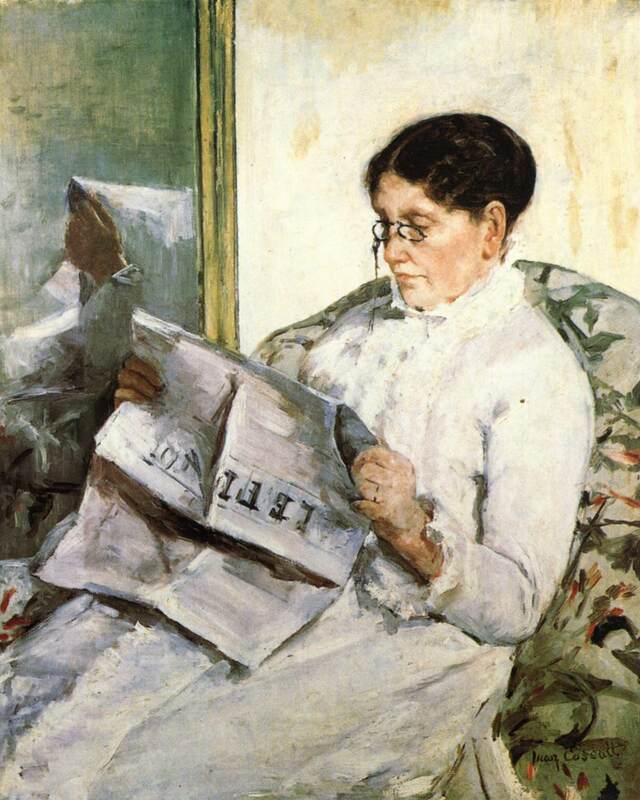 Paintings by Bellows,Cassatt and Glackens have been featured at retrospectives of those artists, but many of the other paintings have rarely if ever been displayed in public. Gilded Age expatriate artists such as Sargent and Cassatt pioneered impressionist styles abroad, challenging long-standing practice and rivaling their French counterparts.After 1900, artists on this side of the Atlantic such as Bellows, Glackens, Sloan and Shinn also abandoned traditional studio techniques to portray New York City’s bustling streets and slice-of-life views of parks, shops, bridges and entertainment halls. Together these artists revolutionized American art,liberating it from academic strictures to become a dynamic mirror of life as “The American Century” was beginning.The earliest artworks on loan date to the mid-1870s, when America’s Centennial led to a self-conscious assessment of the country’s cultural achievements and a new ambition for robust artistic expression. rivaling James McNeill Whistler’s earlier portrait of his mother, titled “Arrangement in Grey and Black”(1871). and “Yellow Orchid and Two Hummingbirds”(ca. 1875–85) signal a new American taste for decorative subjects of elegance and preciousness. 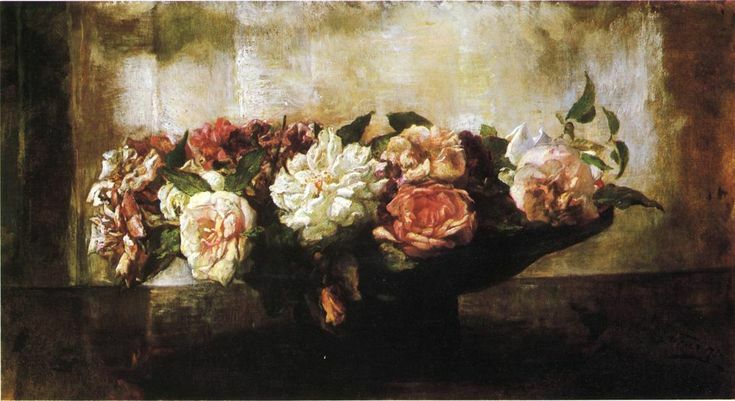 John La Farge’s “Roses in a Shallow Bowl”(1879) conveys the refined aestheticism to which Americans aspired during the Gilded Age. Works by artists such as Bellows and Sloan, painted neart he turn of the century, focused on urban subjects – immigrant children, construction, shoppers, new wealth, and the see-and-be-seen aspect of city life. These painters embraced a changing world and depicted Americans plunging headlong into the future. are emblematic of the artist’s affection for the gritty realities of New York’s rapidly developing neighborhoods and their inhabitants. Scrappy-looking children dive off a makeshift dock into the East River near a hillside cleared for tenement construction in River Rats.In Noon, a team of workhorses pullsa wagon loaded with barrels beneath an elevated train as stylishly dressed ladies scurry through the industrial site, showing New York in the midst of rapid transition from slum to a chic urban center. 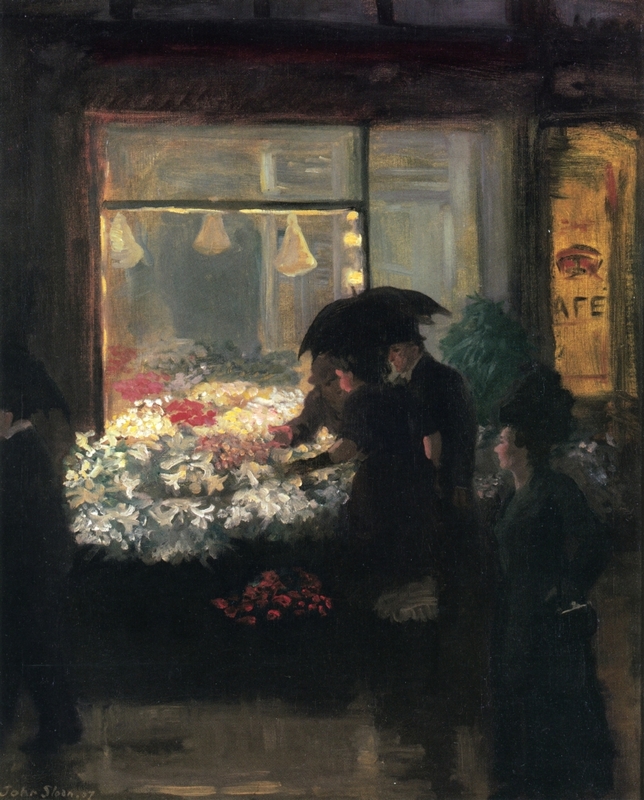 Similarly, in Sloan’s “Easter Eve”(1907), a fashionable couple buys lilies from a store illuminated by electric lights, a new invention that revolutionized evening shopping and daily life.